In this installation of Adventures in Angkor, we take a break from the usual monuments and bas-reliefs to take in some of the other natural sights around Angkor Wat. Well, maybe just one bas-relief. 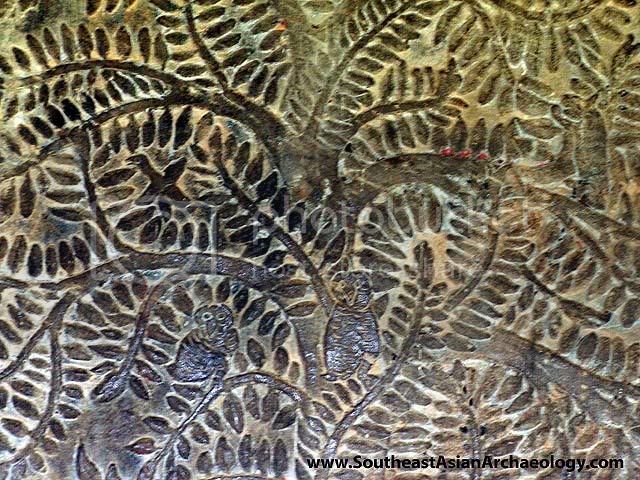 I believe this picture of two birds sitting in a tree was taken from the historical relief of Suryavarman II from the previous post. I thought it would be a good introduction of the things to come in this post. 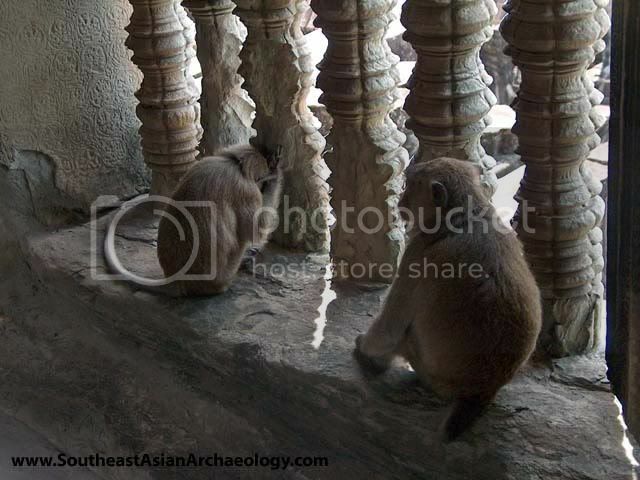 Our first denizen of Angkor Wat was a monkey, or rather, a couple of monkeys, who seem to have made themselves comfortable at the highest tower in Angkor Wat. The monkeys seemed accustomed to the presence of people walking around them, although I guess they were a little camera shy. 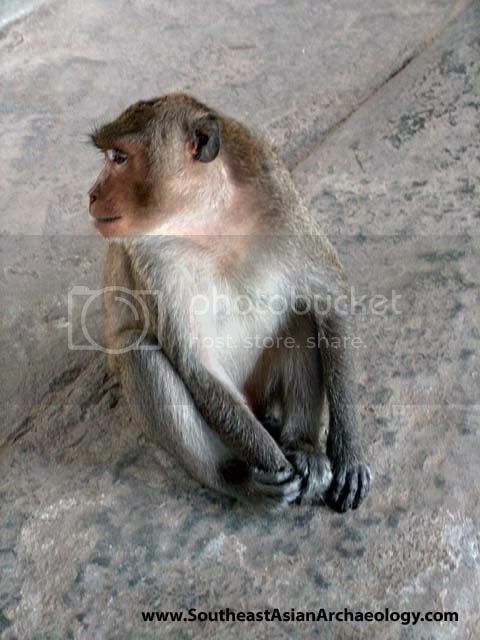 The monkey on the right actually lumbered up to me and gave me a nibble on my elbow – but then he realised I wasn’t edible (to monkeys, at least) and he decided to join his friend by the window. And just what is the monkey on the left doing? Yoga, perhaps? Walking out of Angkor Wat via the western causeway, I was taking in the size of the man-made moat. Here’s the view of the moat looking north. Suddenly, there was a huge commotion from behind me, where the temple was. Little by little, people starting to go near the northern edge of the moat, and a little ruckus ensued. Something was in the moat! And it was making its way to the western bank of Angkor Wat. By then, there was a huge crowd rushing to see what it was. Can you identify what everyone was so excited about? [youtube WcWL_czmfug] Yes, it was a deer! Apparently, a wild deer had gotten itself lost in the jungle and decided to take a swim in the moat. It eventually landed up in Angkor Wat itself before it realised it was too near civilisation and decided to hightail it. 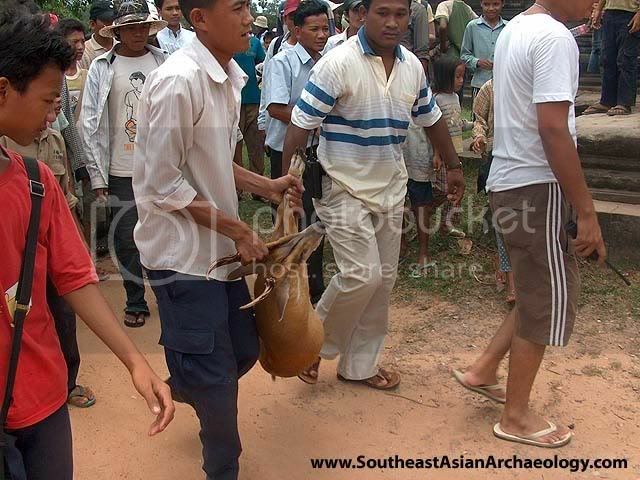 You might think occurences like these might be fairly common, but according to my guide wildlife isn’t usually seen around the temples anymore because of the crowds, and even for many native Cambodians this is the first time they’ve seen a deer! Of course, the deer wasn’t too thrilled about getting caught, either – and it looked like it cut itself while wading through the water reeds. 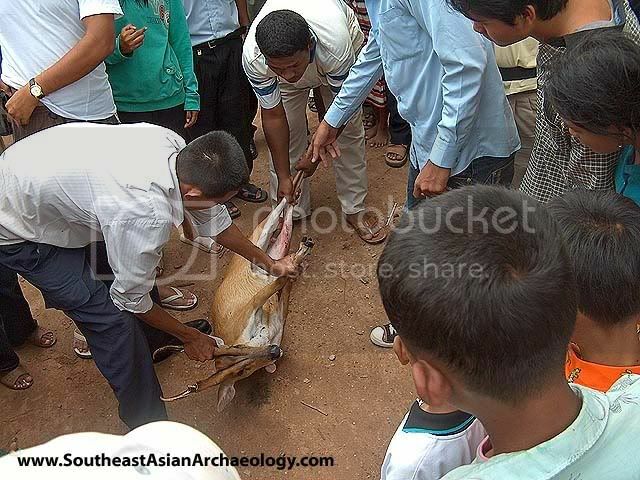 Eventually, however, the deer would have been released to the wild – being a Buddhist country, killing a deer would not have been in good form, especially since the deer made a pilgrimage to Angkor Wat! 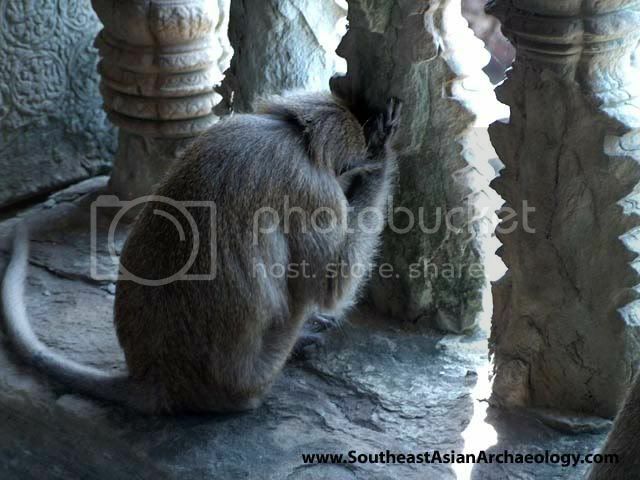 I hope you enjoyed this little distraction from the usual Angkoran monuments – the deer sighting was particularly exciting, even for the Cambodians themselves and I could not help but write about it as well. 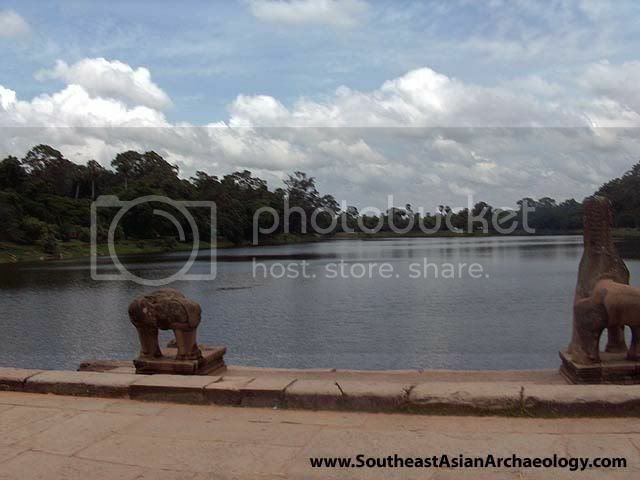 Next week, we take a monumental visit to Angkor Thom.